A popular anime subgenre is sad or tearjerker anime. These anime make the viewer feel for the characters and even make them cry. With tragic scenarios, emotional scenes, and heartbreaking (even depressing) themes, these stories are powerful. They also often follow a similar formula: The first half is funny, the middle is heart-warming and romantic, followed by a tragic separation and finally (though not always) an emotional reunion. The titles below appear in no special order—each one is a great tearjerker. After the list, you'll find plot summaries for each series. You can also vote for your favorite below! Do you love anime that makes you cry? Yes, I love to watch anime that's super sad! Kind of. I like it but it can't be too sad. No, I prefer funny anime. One of the most acclaimed animes of the sad subgenre, Clannad follows a motherless boy whose father drinks and gambles. A sequel to Clannad, After Story follows the struggles and heartbreaks of a young married couple. 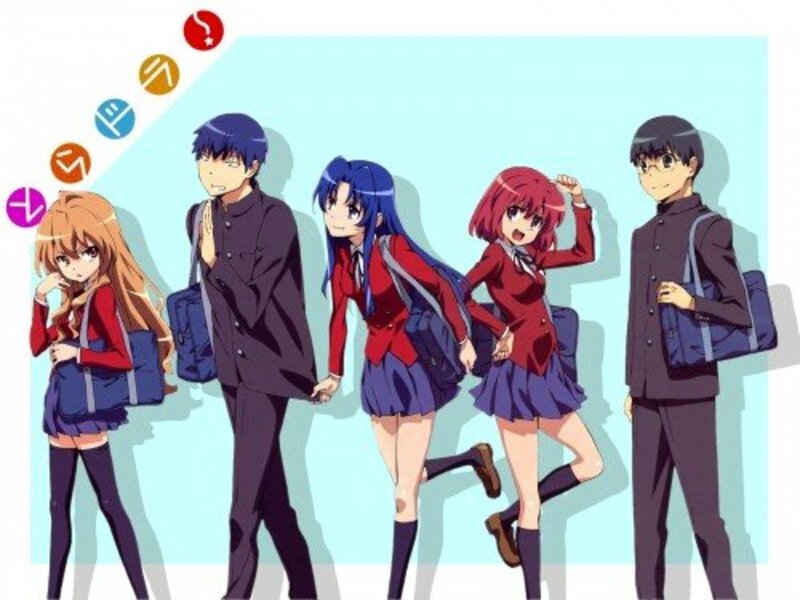 Set in a high school in the afterlife, Angel Beats! follows students as they learn to let go of attachments to their former lives. A group of childhood friends drifts apart after one of them dies in an accident. Two siblings try to survive in the final months of World War II. Told in three separate segments, this story follows two friends who were separated as children but who never lose touch. After his mother dies, a boy decides to pick up her journey where she left off. A species of mutants is held in captivity, but when one escapes to seek revenge on humans she is injured and undergoes a personality change. A sensitive boy watches the people around him struggle and tries to help, but is unable to help himself. A young man suffering from amnesia returns to the city of his youth and begins to recall his past. Set in New York City just before the Great Depression, Chrono Crusade follows two exorcists as they fight demons and search for a missing friend. A boy who had moved with his parents to Tokyo returns to his hometown only to find the town changed for the worse and his best friend withdrawn and gloomy. Kiminozo for short, this series follows a boy who moves to Tokyo after a breakup only to become entangled in more romantic drama and heartbreak. A talented young girl who dreams of becoming a singer learns she is sick and may never sing again. The romantic journeys and tragic pasts of two couples. 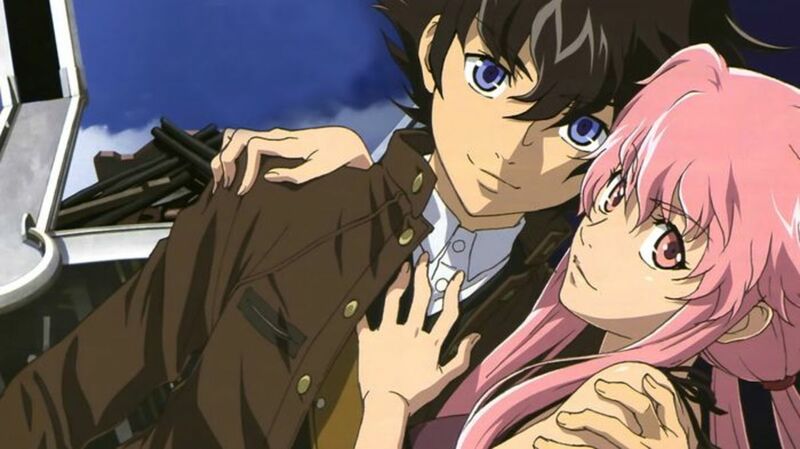 Also known as Hantsuki, this series follows the budding romance between two sick teenagers. Tomoya Okazaki is a third-year high school student who hates his life. His mother died in a car accident when he was young and his father drinks and gambles. Father and son fight and Tomoya is injured at one point, so he cannot lift one of his arms. Since then, Tomoya and his father are distant and Tomoya becomes more sullen and delinquent. One day while walking to school, he meets a strange girl named Nagisa Furukawa. She is a year older than he is but is repeating the year of school because she had been ill. Nagisa is often alone, as most of her friends have moved on. The two begin hanging out and slowly, as time goes by, Tomoya finds his life shifting in a new direction. 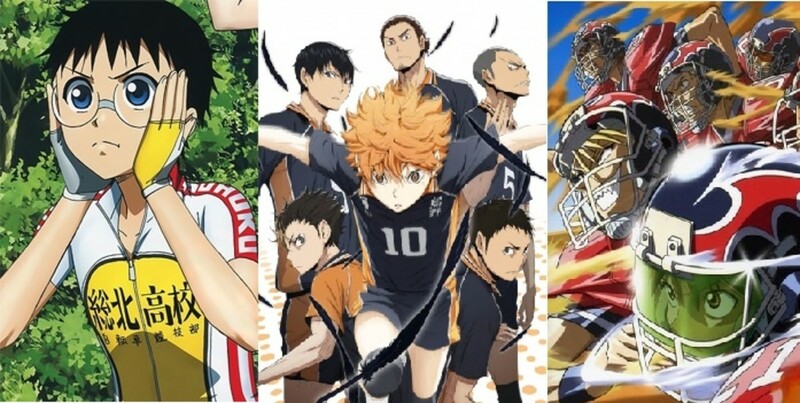 Consider this list of relatable anime if you enjoy this one. A few months have passed since Tomoya confessed his love to Nagisa. Now entering the second semester, he continues to meet new people and expand his circle of friends. His relationship with Nagisa is becoming more intimate and Tomoya begins to understand the meaning and importance of family. Unfortunately, as Tomoya and Nagisa begin their own family together, they are faced with many heart-wrenching hardships and challenges. Otonashi lost his memories when he died. When he awakes he meets Yuri, the leader of the Shinda Sekai Sensen, a group that rebels against God for the cruel fates they have suffered. Their only enemy is Angel, who uses supernatural powers to battle against the SSS. 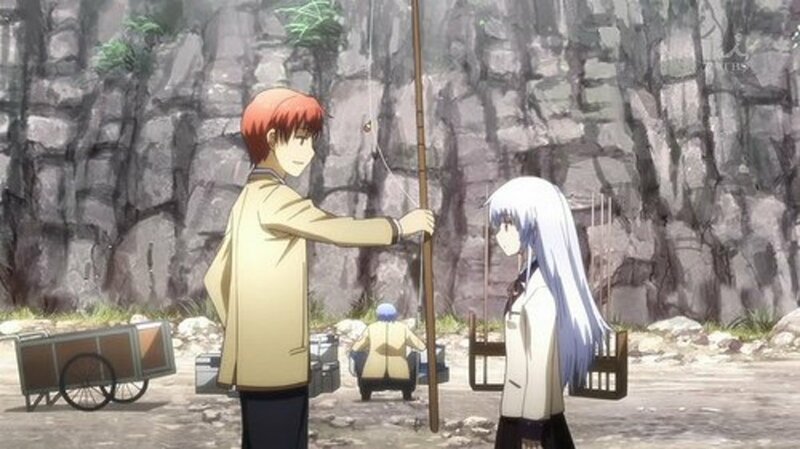 Otonashi eventually regains his memory and befriends Angel, but as students around them prepare to move on from the afterlife, Otonashi and Angel are destined to be apart. After the death of their close friend Meiko Honma, five childhood playmates grow apart. The leader of the group, Jinta Yadomi, neglects high school and lives as a recluse. One day he begins seeing the Meiko’s ghost, which can only interact with him and no one else. She has returned to ask Jinta to fulfill the forgotten wish she made as a kid. Trouble is, Meiko can’t remember her wish and Jinta must bring all of the friends together to help. Things get complicated and emotional as each friend reveals that they feel responsible for Meiko’s death. Why do you love sad anime? I love a good cry! The big eyes are so cute when they're filled with tears. It helps me with my own life problems. Fourteen-year-old Seita and his four-year-old sister Setsuko are orphaned after their mother is killed during an air-raid by American forces in Kobe, Japan. After a falling-out with their aunt, the children move into an abandoned bomb shelter. With no surviving relatives and their emergency funds and rations depleted, Seita and Setsuko struggle to survive their hardships as well as those of their country, which is on the losing end of the war. The story is told in a series of flashbacks. Tono Takaki and Shinohara Akari were inseparable as children but grow apart when one of them moves away. They exchange letters, but the distance between them increases as time moves on. Years pass and the rift between them grows ever larger, but as an adult Takaki remembers the time he shared with his friend. As life unfolds, he wonders if he will ever see Akari again. He embarks on a journey to find her and the story unfolds, from both friends’ perspective. A boy, Yukio Kunisaki, goes on a journey to search for the “girl in the sky” that his now-dead mother would sing about when he was a child. He decides he must find the girl in order to finish his mother’s life journey. In order to earn some money, he stops in a town a performs a puppet show. Yukito meets three strange girls named Misuzu Kamio, Kano Kirishima, and Minagi Tohno, and begins to suspect that one of them may in fact be the girl he has been searching for. He quickly becomes friends with Misuzu, who invites him to stay with her. Yukito puts his search on hold, delaying the journey that his mother had left unfinished. The name comes from the German “Elves’ Song.” The Diclonius is a more evolved species that looks like humans. It is said that the Diclonius will eventually become the destruction of mankind. It has two horns and a "sixth sense,” which gives it telekinetic abilities. Because they are dangerous, they are held in captivity in laboratories. Lucy is a young and psychotic Diclonius. She manages to break free and brutally murders most of the guards in the laboratory, only to be shot in the head as she escapes. Wounded, she makes her way to a beach where two teenagers discover her. Lucy has lost her memory and can barely speak, uttering only the word “Nyuu.” This becomes her name and her personality becomes more child-like as well. 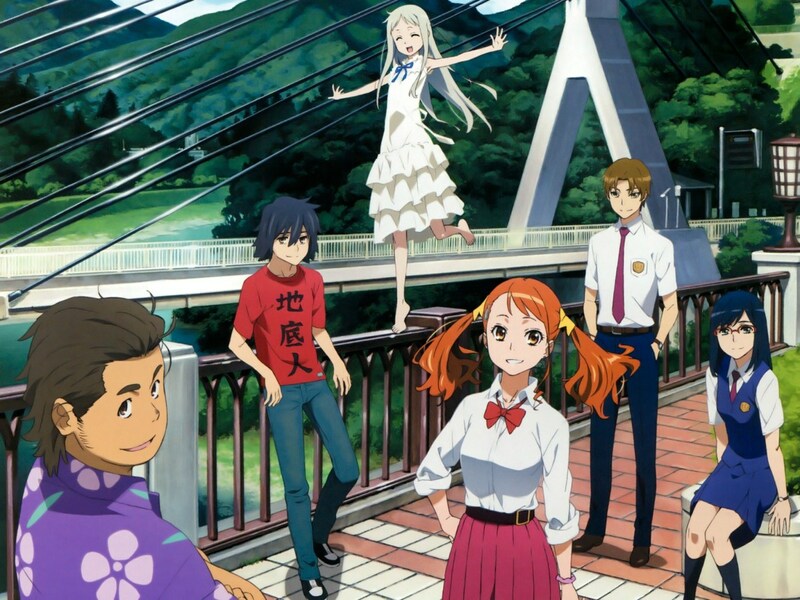 The teenagers, Kouta and Yuka, take her home, but the government is pursuing Lucy. Check out this review for further details. Shinichiro is a very artistic student who lives at home with his parents. When Hiromi, a popular girl from school, moves in with his family Shinichiro senses that she is sad inside despite her outwardly cheerful behavior. At school Hiromi is all-smiles but at home she treats Shinichiro coldly. Shinichiro has other problems too: His friend Nobuse teases him and a strange girl has put a curse on him. Yuichi Aizawa returns to the city of his childhood after having left abruptly seven years earlier. Whatever it was that caused him to leave, he has blocked out the memory. On the day after he gets settled in, he tours the city with his cousin who leaves him briefly on a sidewalk. A strange girl carrying a backpack with wings on it bumps into him. Her name is Tsukimiya Ayu and she immediately confesses a minor crime she has just committed. Yuichi meets four other girls, each with their own bizarre story, and begins to piece together the memories he had lost. The year is 1928 and the place is New York City. The economic prosperity that followed World War I cannot hide the presence of something dark and sinister: a lurking demonic force. As members of the Magdalene Order, exorcist Sister Rosette Christopher and her assistant Chrono fight demons, which will stop at nothing to disrupt the balance of heaven and earth. Rosette and Chronos are not just exorcists, they are also on a quest to find Rosette's missing brother, Joshua. Their relationships, secrets, and fates are revealed throughout the series. Sana Hidaka returns to his hometown after having lived in Tokyo for five years. As he walks the streets, he feels uneasy. On a detour to his apartment, he notices a girl in a shrine-maiden outfit watching him. He finds out the next day at school that the girl is his childhood friend, Nanaka Yatsushiro, but she has changed. Once sweet and innocent, Nanaka is now depressed and sad. Sana still harbors his old crush on Nanaka but it isn’t clear that she even recognizes him. Takayuki Narumi is set up with a girl but he cannot follow through with it. Later, Takayuki is planning to meet the girl again but he is delayed and she gets into an accident. She slips into a coma that lasts for three years and awakens to tell Takayuki that she wants to see him again. Twelve-year-old Kouyama Mitsuki is devastated when she is diagnosed with a malignant tumor of the throat. She had made a promise to the boy she loves that she would one day become a singer, but the illness makes singing impossible. To make matters even worse, two angels of death, Takuto and Meroko, appeared to Mitsuki and informed her that she only had one year left to live. Now Mitsuki is even more motivated to fulfill her dreams, and with a little bit of divine intervention, she begins her quest to become a professional singer. A Tale of Melodies picks up where the first adaptation, The Tale of Memories leaves off. It tells the tale of two couples, Kuze and Mizuki and Yuuko and Yuu. Alternating between the past and present, as well as between two different twin-cities, the story reveals the connections all of the characters share, as well as their tragic past. When Himura Yuu meets Amamiya Yuuko, she seems to know him but he doesn't know her. But he soon remembers that he knew her long ago and she shares a secret: He was her first love and her first love has not ended yet. The second couple’s story follows Shuuichi Kuze and Hayama Mizuki. They spend a lot of time together, but unknown to Mizuki, Kuze had contracted a fatal illness and has little time left to live. Kuze decides to break all romantic ties, but things get complicated when Mizuki tells him that she loves him. During the winter, Yuichi is hospitalized for hepatitis. He tries to escape from the hospital but is beat up by the nurse. One day he meet Rika, another teenager, in the next hospital building. He is fascinated by her beauty, but she is very selfish. When Rika tells him about her illness, a weak heart valve, he understands why she acts the way she does: She doesn't have long to live. How about Your Lie In April and Plastic Memories?? Where is your lie in April? Okay why isn't the anime 'Your Lie in April' on here? What about Akame ga Kill? I know you cannot cover every single series that leaves one in tears but the only one on this entire list I have actually watched is Elfen Lied. For me, the saddest one will always be Nana, even the theme makes me cry ! Where is Your Lie in April though? Plastic Memories and Kimi no Na wa both belong on this list. They're the only two animes I've ever watched that have made me cry. Plastic Memories should be in this list.. it tore my heart to pieces.. just remembering the final episode makes me teary eyed.. Your lie in april isnt here??? your lie in april and guilty crown is missing. Both are great anime's where in the end it either made me satisfied or unsatisfied. maybe both? I can't believe how quickly I'll start crying after hearing Lilium from Elfen Lied. The music coupled with the tragic events have me sobbing with shocking speed. Love the series. A shame it felt so short. Come on! How could you miss Your Lie in April??? A dark horse I really cried for was H2O: Footprints in the Sand. Madoka Magika is a "magical girl" anime so sad I would never let my own children watch it. Tokyo Aftershock 8.0 is wrenching. You need to rethink the article. according to me your name, your lie in april, a silent voice, tokyo ghoul were the most saddest anime movies/series ever.We can count clannad /after story, plastic memories, hotarubi no mo ri e, and charlotte as sad movies/anime series.But most of them are not even mentioned in this list. Why is it there is no Hal? It is also one of the sad anime. your lie in april.. i found it so hard to watch because my tears kept running down, half way the serie hahaha. AND NARUTO YOOOOOOOOOOO THE SADDEST! Where's Puella Magi Madoka Magica? Where is "Hotarubi No Mo Ri E" ? Honestly, the saddest I have encountered was actually 91 days, and that was pretty recent too. I don't get why Ef: A Tale of Melodies is on here instead of the first season Ef: A Tale of Memories. Memories was amazing, but Melodies sucked. Honestly, where the hell is "Your Lie in April". Best freaking anime ever, and damn near the only one that actually brought tears to my eyes. Can we PLEASE talk about Madoka Magica, Elfen Lied, Shinsekai Yori. To me, actually, Shigatsu wa Kimi no Uso didn't reach all the way up to the high expecations I had. But anyway, the saddest anime for me (so far) is madoka magica. What the hell where is Shigatsu wa Kimi no Uso (Your lie in April). The story is better than most of the anime on here, the animation is simply amazing, the actual animator took the time to figure out how the people actually played an instrument, the anime and manga have won more awards than any of these, and one of the sole purposes of the anime was to make the editor cry. Keep in mind this is just the anime the manga goes into so much more detail and is so much more heartbreaking than the anime because you get to know all the characters so much better. For the love of god watch Tokyo Aftershock 8.0, it was absolutely traumatic but I sort of liked it? 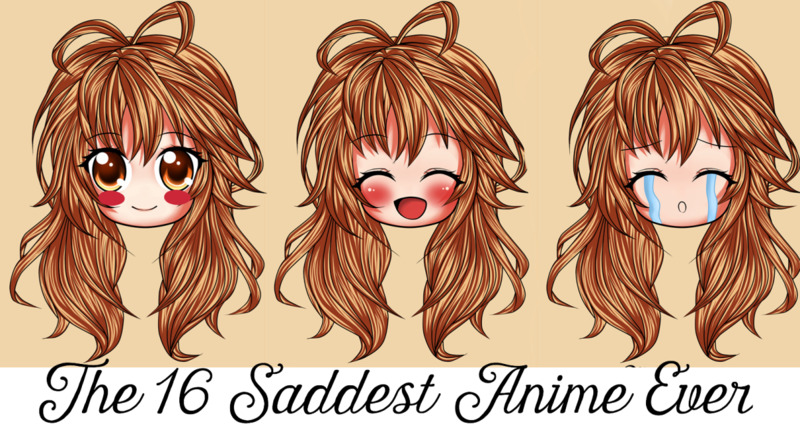 Clannad is on every list of the saddest anime ever. To me it should be on the top of "most boring anime ever". where's your lie in april?! Why do they not have Your Lie in April on this list? This is the most tragic and heart-wrenching anime there is! what would you do if someone in the world fell in love like a anime. my point is what is true love?, Is love real? and if you fall in love with someone would that person just hurt you and leave you? I love anime movies and episode and vines but the anime never tells you what happens after they get their happy ever after. they show the part where you what to fall in love. and when you go out in the world and try to find the love that you desired is never in the world. i wish i can find love but it hard and different. so if you what to fall in love be your self and don't let the man the choose you. you have to choose the man. and Good luck in life. Granted I haven't seen all of these listed (have seen KEY anime listed here), but nothing has ever made me cry as much as Your Lie in April. Nearly dehydrated myself! Going along with this "sad" theme, if you like romantic as well, definitely try Orange. I cried so many times. After finally watching Your Lie in April, I realized that SAO's Mother's Rosario arc is just an abridged version of Your Lie in April. But with swords instead of pianos lol. YLiA really really moved me. Shigatsu wa Kimi no Uso deserves the top spot on this list I think. It's amazing. This one I saw as a kid so maybe my memory is off.... but how about Saikano? thats pretty sad no? 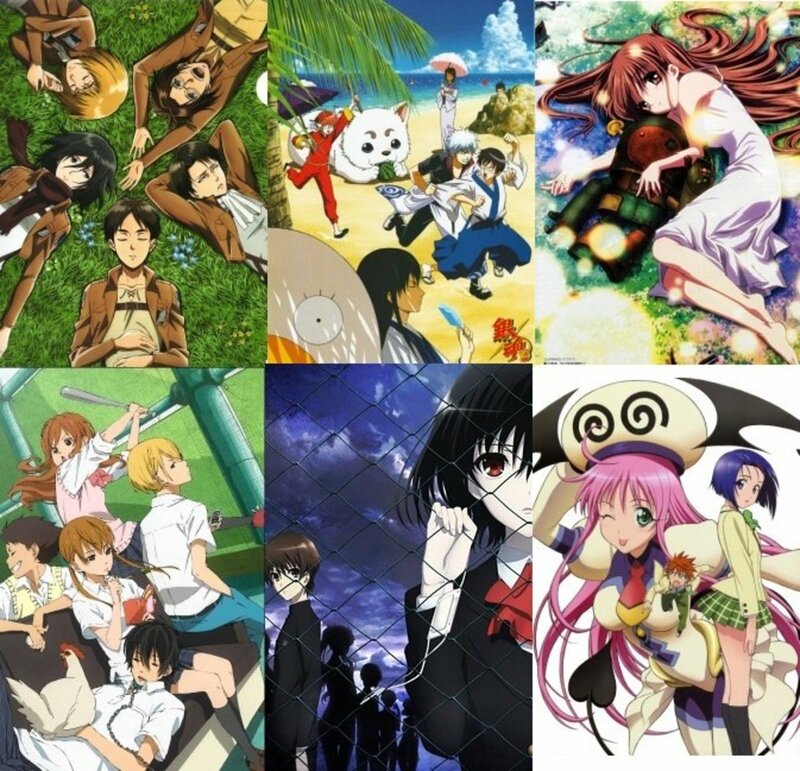 I have a few of the best anime in my mind. These anime made me cry (I hardly ever cry) and i felt so relieved. I wish to see some more anime like these again. Elfen Lied is honestly my favorite anime of all time. It's one of those anime that deserves to be recognized for how real it is. I feel like it accurately depicts how humans would react to Diclonius, and that makes me kinda sad. It is such a strong and emotional anime that really makes you feel for each of the three main Diclonius, somehow even Mariko with episode 13. It's extremely depressing and I love it. It's soooo underated and misunderstood because of what kind of content it has. Honestly, the content was never really a turn-off to me just because of how depressingly REAL it is. That kind of stuff happens in the world, and it was kind of nice to see it represented even though how despicable it is. It shows you just how dark and uncaring the world can be, and it doesn't try to hide that fact. I respect and love it for that, and it's a good eye-opener for people who think otherwise. It has a few flaws, but everything does, and it doesn't really take away from the impact for me. The manga is especially sad, because it goes on for longer and has so many feelsy moments. I'm gonna spoil it, so don't read further if you want to check it out. The most emotional moment for me in the manga was the line "Nana is indispensable" from Kurama after he kills Barbara, a clone of his dead daughter Mariko. And this is after he went through a psychological breakdown where he literally told Nana he thought of her as nothing more than an experiment. That ended about as well as could be expected from somebody like Nana. She almost tore the place to pieces she was so emotional. I cried like a little baby when I read that line, and I'm not ashamed to admit it. He was willing to let Nana die only a moment before, and it took Nana almost dying - and being okay with it as long as Barbara took care of Kurama for her - to make him snap out of it. He was such an amazing character in the manga near the end and I loved him for that line. Plus, it's hinted that Mayu and Bando kinda maybe are a thing. She believed he had died - and he should have, considering he got cut in half - but he didn't and Mayu literally almost broke down in relief at seeing him. And that's coming from a character who is arguably the strongest mentally in the series. Which is actually kinda sad, considering WHY she's so strong, but understandable. Overall, the manga is an excellent read and I'd suggest it to anybody who loved the anime to read it on mangahere.com. Where is Rainbow: Nisha Rokubou no Shichinin? Little Busters! should be added to this list. Made by VisualArt's/Key, the same studio that made Clannad, Angel Beats, Air, Kanon, Charlotte, Rewrite and Planetarian. The producers of VisualArt's/Key are known as the "masters of feels." Anything they make is gonna make you cry or at least depress the hell outta you. WHY IS No.6 NOT ON HERE?????? orange needs to be added now!!! !